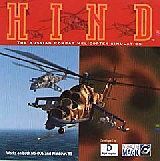 Flight model in Hind (1997) by Digital Integration. 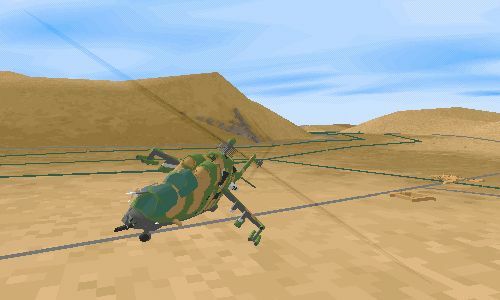 The flight model felt very smooth and responsive. A look at the credits reveals why this is so! David Marshall was one of the chief boffins at DI and his experience is indicative of the real world aviation expertise embedded in their products. His experience includes flying the Sea King, Gazelle, Wessex and Bell Jetranger Helicopters and Hawker Hunter, Jet Provost, Hercules, Jetstream Fixed wing aircraft. 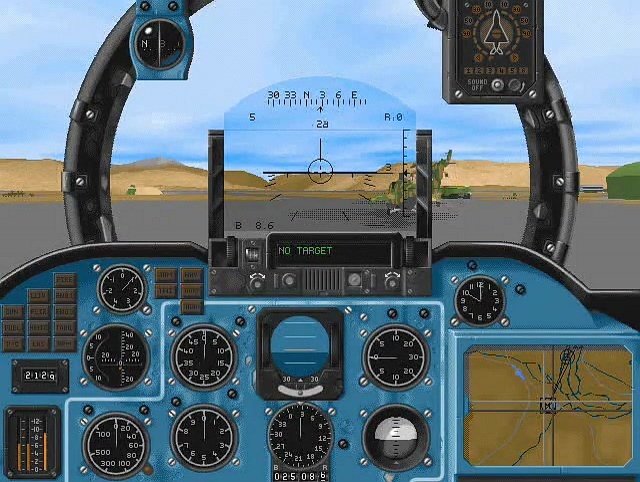 He also worked at the Royal Aircraft Establishment at Farnborough in airborne computer design, Westland Helicopters on the Lynx flight control systems and avionics, A&AEE Boscombe Down on the Harrier, Jaguar and Jetstrream flight trials and at the Royal Aircraft Establishment, Bedford on Military flight simulation.